Nice wool sweater, a bit long in the body and the sleeves for us. Perfect fit, high quality. 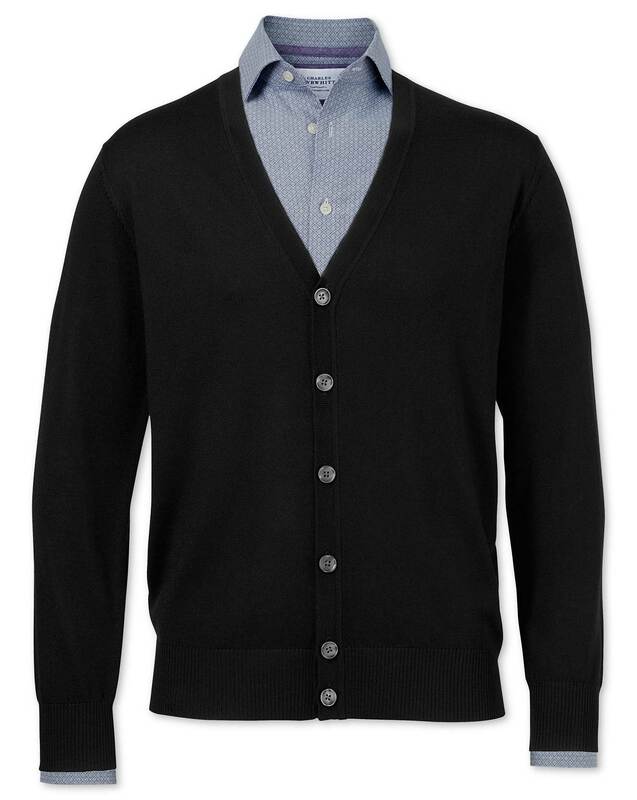 perfect over a shirt or layered under a sports jacket. Very thin, baggier fit than I would prefer though same size as many other sweaters I have purchased from CT. Response from Charles Tyrwhitt: While our Merino jumpers and cardigans may be a touch thinner than some others, I can assure you their quality really shines! Made from 100% New Zealand Merino wool, they will work great as an extra layer in winter, or to keep the chill off during the spring or autumn.